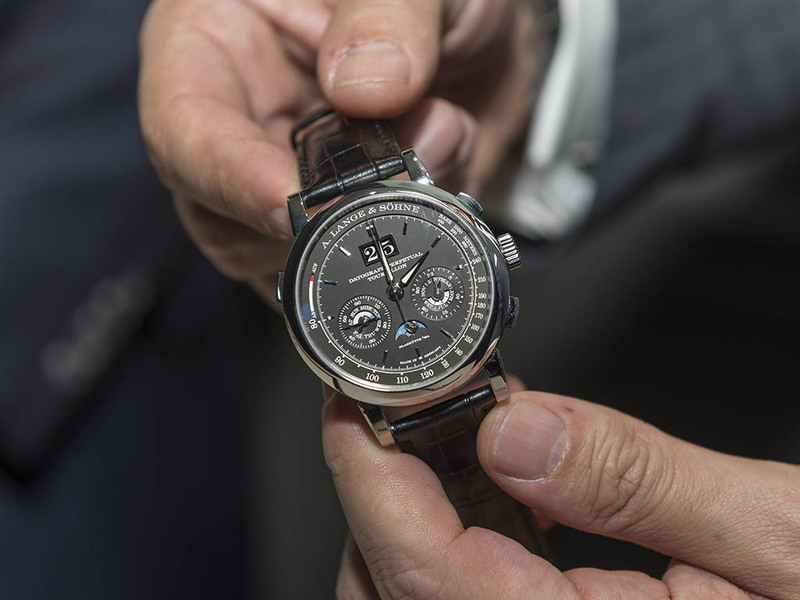 The Datograph Perpetual Tourbillon is limited to 100 pieces and it's all made in platinum. 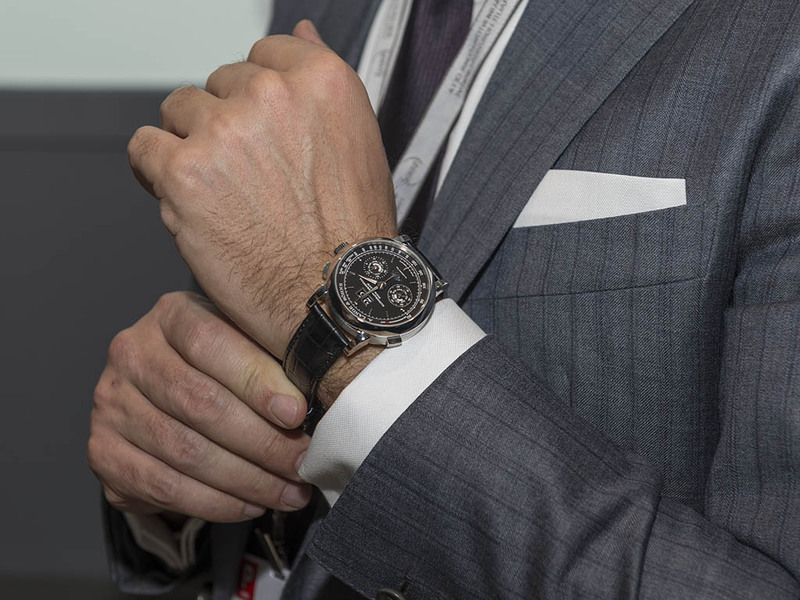 In fact there are three high-end complications pieced together. When it comes to design, you'll most probably end up finding such watches with modular construction in lesser brands. This is Lange, however, and Lange is better than that. Since it's A.L & Söhne here we are talking about, you should expect way better. Though the name says Datograph, this stunning timepiece does not exactly like the Datograph Up/Down model. There are several similarities with the Up/Down version like instant perpetual calendar, moon phase display and the trade mark grande date but they are not enough to call it the same watch. 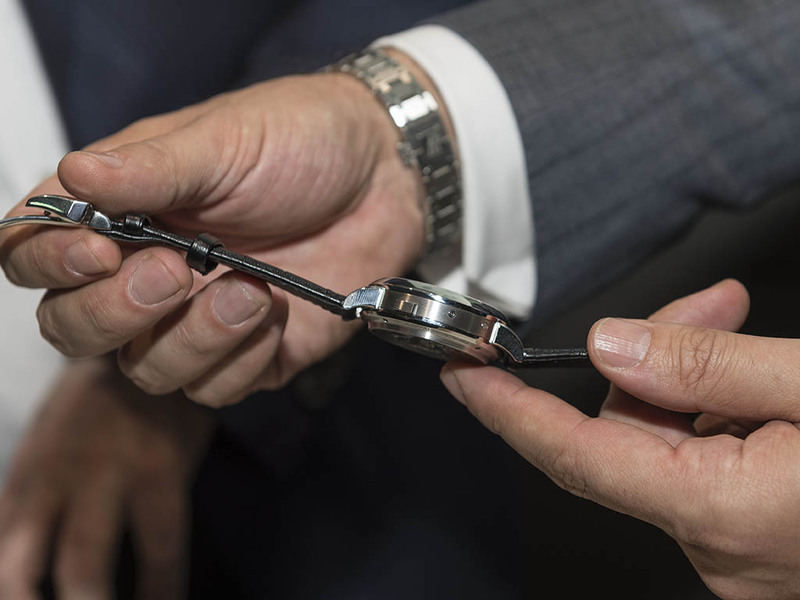 The re-located power reserve indicator at the end of the tachymeter scale is just one thing that differs the watch. 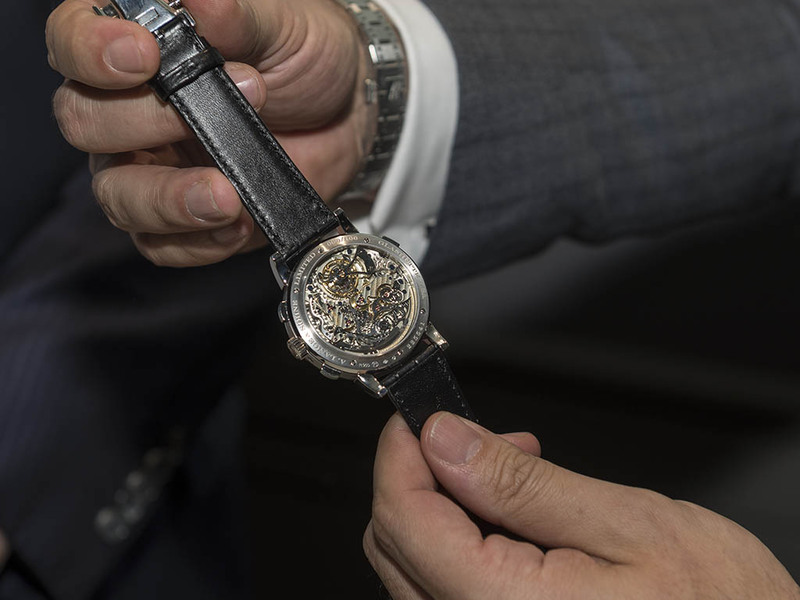 The tourbillon section can be monitored from the back side of the watch. It is located behind the 12 o'clock and the escapement rotates around its own axes once per minute inside its cage. The design features weights to balance the gravity force ending up as free spun balance wheel. Tourbillon hacks for precise setting to another source. All hand assembled and finished Caliber L952.2 features 729 pieces. The platinum case measures 41.5mm X 14.6mm. The Lange Photograph Perpetual Tourbillon is a limited edition of 100 pieces, all in platinum with a black dial.